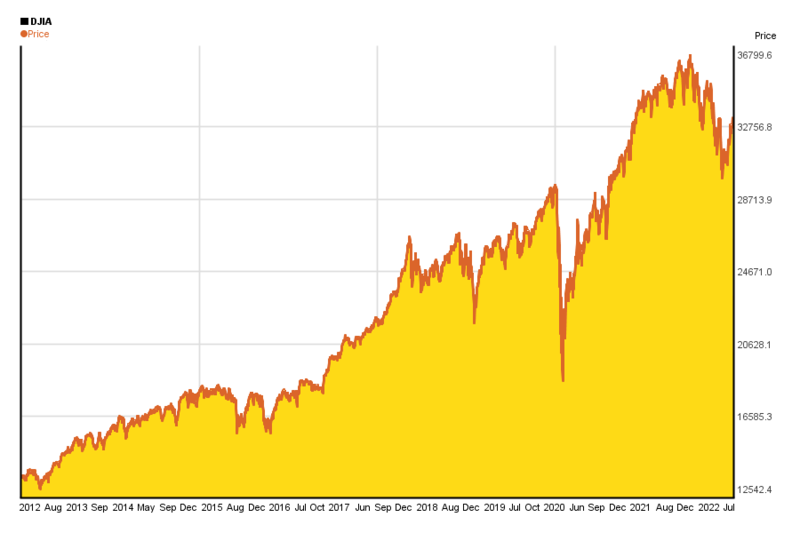 The 10 year chart of Dow Jones Industrial Average (DJIA) summarizes the chages in the price well, however, we recommend to have a look at the chart(s) below, too. 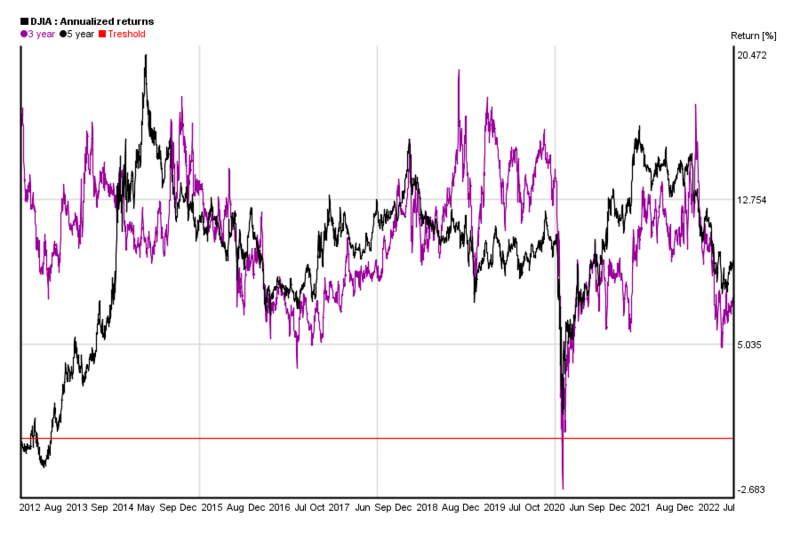 Similar charts of the past 5 years can be found here. Well, on the chart below you can see if that is true for yourself in the case of DJIA for the past 10 years. 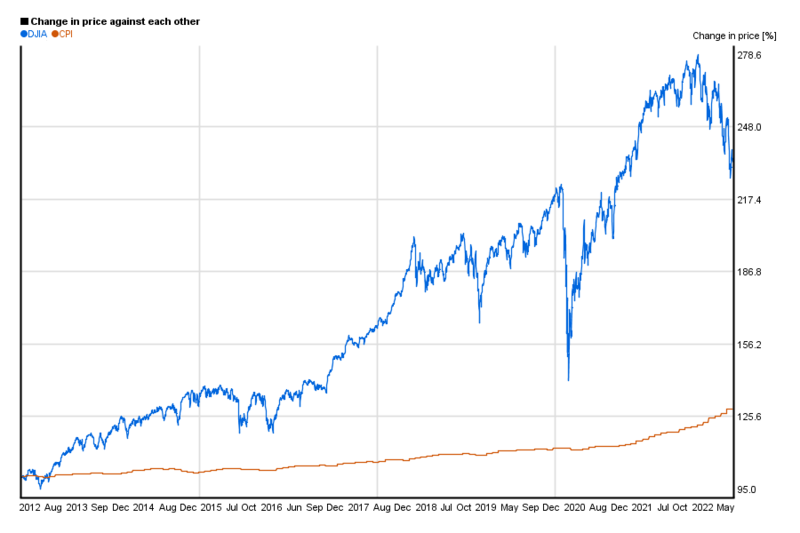 So this chart shows DJIA’s relative change against the US customer price index in the past 10 years. *charts are updated monthly, and they have been created by using Chartoasis Sesame. If you feel like analyzing DJIA’s historical price, you can do that for free at www.chartoasis.com/sesame . You will also need to download DJIA historical data. This step-by-ste guide will explain you how to do it. Previous PostDow Jones 5 years charts of performanceNext PostHistorical gold price chart: how much is gold worth?